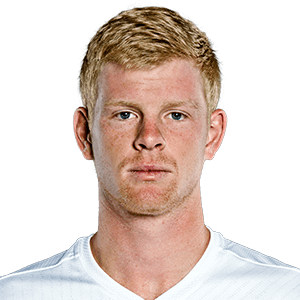 2010 - Kyle Edmund made his ITF debut on April at the Great Britain F5 in Bournemouth, losing the first qualifier match. 2012 - He won the junior doubled title at Us Open, partnering Frederico Ferreira Silva, beating Nick Kyrgios and Jordan Thompson. Edmund reached at least the quarter-finals in every junior Grand Slam in the calendar year and reached a career high of No. 8 in the combined ITF junior rankings in January 2012. In October, hw won his first ITF title in Birmingham, Alabama. 2013 - Edmund won his second junior Grand Slam doubles title at Roland Garros, again with Silva, defeating the Chilean Christian Garín and Nicolás Jarry in the final. He made his ATP World Tour singles debut at London-Queen’s Club (l. to Zemlja in R1). At Eastbourne he beat de Schepper to claim his first ATP victory, before losing in two tiebreaks to Simon in the second-round. After those results, he gained a wild-card entrance at Wimbledon. In his maiden Grand Slam match, he lost to Jerzy Janowicz. 2014 - The first reserve player for Great Britain in their Davis Cup tie against the United States, he suffered five consecutive first-round losses in the middle of the season. In November, he reached his first final at the Yokohama Challenger, but lost to Australian John Millman. Consequently, he broke into the Top 200. 2015 - He broke into the Top 100, at No. 99, on August 17 after reaching the semifinals at Aptos Challenger SF (d. Nishioka, l. to Millman), and finished the year at No. 102. At Roland Garros, he earned his second tour-level win and celebrated his first main draw victory against Robert in five sets. He claimed three challenger titles in Hong Kong (d. Ito); Binghamton (d. Fratangelo) and Buenos Aires (d. Berlocq). Member of 2015 Davis Cup winning team, he suffered a comeback defeat from two sets up against David Goffin in Great Britain's victory over Belgium. He became the first player since Lopez in 2003 to play his maiden Davis Cup match in a final, and the first since Mathieu in 2002 to do it in singles. 2016 - The Brit set his career-highs that season in wins (21) and ranking (No. 40 on October 24). He defeated Ferrer 76 in the third set to claim his first ATP World Tour semifinal in Antwerp (l. Gasquet). His breakthrough Grand Slam result arrived at Us Open as he beat Gasquet, Escobedo and Isner to reach his first major fourth-round (l. to No. 1 Djokovic). He advanced to his first three ATP World Tour quarter-finals in Doha (l. to No. 6 Berdych), London/Queen’s Club (d. Simon, l. to No.2 Murray) and Beijing (d. Bautista Agut, l. to No.2 Murray). He won Challenger titles in Dallas (d. Evans) and Rome (d. Krajinovic) and finished as a runner-up in Maui (l. to Wu). In Davis Cup, he beat Tipsarevic and Lajovic in Great Britain's 3-2 win against Serbia, then fell to Pella in their 3-2 defeat to Argentina in the semifinals. 2017 - The Brit reached the semifinals in Atlanta (d. Sock, l. to Harrison), Winston-Salem as a qualifier (l. to Dzumhur) and Vienna (l. to Pouille). Quarter-finalist in Brisbane (l. to Wawrinka in 3 sets) and Delray Beach (l. to Raonic), he advanced to the third-round at Roland Garros (l. to Anderson), earned his first win in his fifth appearance at Wimbledon (d. A. Ward, l. to Monfils in the second-round), and retired during the US Open third-round against Shapovalov. 2018 - He earned his biggest career win over No. 3 Dimitrov en route to 2018 Australian Open semifinal, becoming the fourth Brit to reach Australian Open semifinals and the sixth to reach a Grand Slam semifinal in the Open Era. On 5 March, he became the No. 1 Brit, ending Murray’s 12-year reign. He snapped a 0-9 start in ATP Masters 1000 second-round matches with his victories over Djokovic and then Goffin to reach the quarter-finals in Madrid. Later he moved to the third-round in Rome and achieved his career-high at No. 17 on 21 May 2018.